For Mother’s Day, Megan wrote a letter to the new mom and I wanted to write a letter to the new dad. 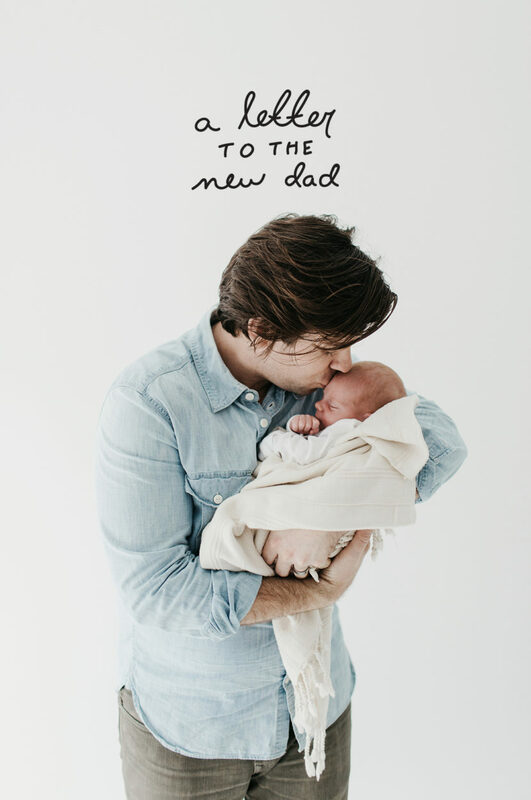 Just days before Megan gave birth, I wrote my thoughts on the Journey to Becoming a Dad and was really honest about the path it took for me to feel like I was ready to become a dad. Without a doubt, this has been the fastest and slowest four months of my life. More emotions have come out of me, in these four months, than at any other point in my life. I have laughed, cried, been exhausted, and loved more than I would have ever thought possible. Here is my letter to the new dad. I know you have that list of house projects to be finished, five parenting books from the baby shower that you haven’t read yet, and are continually checking the bank account to make sure you’ll make it through all the medical bills. I also know the feelings of guilt for not wanting to talk about how stressed or tired you are in this moment because (and let’s be honest) you aren’t the one who has to push a baby out. 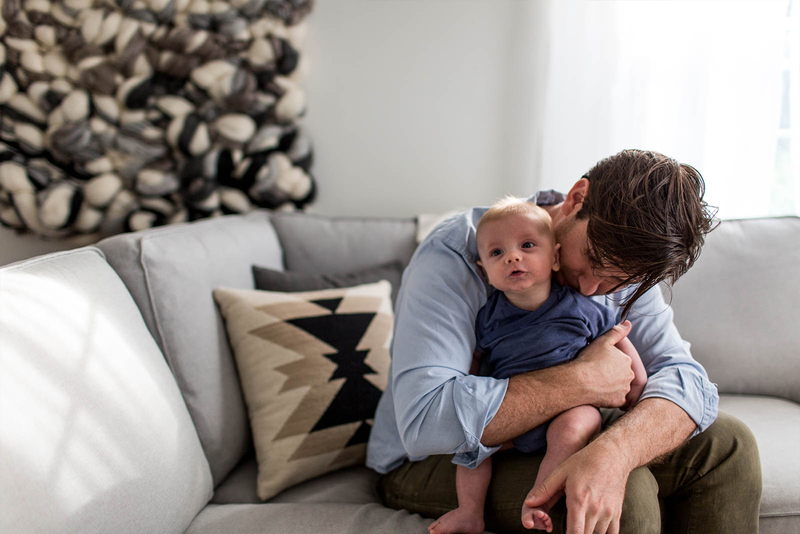 But it is stressful for you and the good news is, every dad who’s been through this knows it too. This moment of feeling stressed and/or overwhelmed will come, either before or after the birth, but it will come. And when it does you need your dad, brothers, uncles, and other guys who have been through this before more than at any other point in your life. You will quite literally not be able to do everything. You will fall short in some area and you will need to ask for help. You will need to actually take your friends up on bringing you dinners and walking your dogs. You will need help. But don’t worry. You are joining a very unique and inviting club of men and all of them just get it. But seriously, they all get it because they have gone through it and you will be a better and more empathetic man after you have been through it too. This is the greatest thing I never expected. 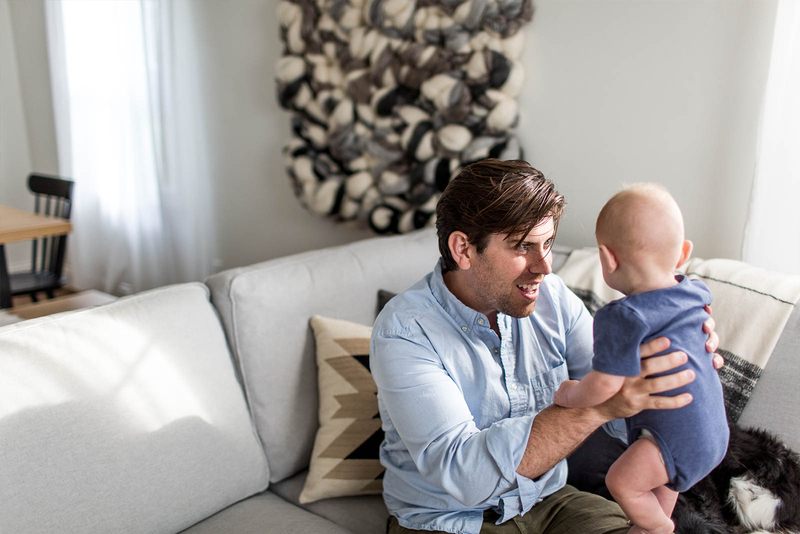 You will have an almost unspoken connection to other new dads. There will be a moment when you have your newborn in your arms and you lock eyes with another dad who also has his newborn in his arms and like soldiers passing on the battlefield, you’ll give the all approving head nod of approval. The mental equivalent of a fist bump. You will feel a level of connection with a stranger’s current life struggles in a way you never have before. You will feel empathy for others in a way you never have before. Because the one truest thing about the first months of parenting is that no one gets a free pass. Babies do not care how much money you have, what your resume says, or how attractive you are. They are the only people in the world that treat everyone the exactly the same way. Which you will have to remember in that first month when you look at all of the happy photos other new parents are posting Instagram. Those were the joyous moments and the ones you want to remember, but they, just like you, had the 9pm, 11pm, 1am, 3am, 5am, and 6am wake ups, and went without sleep. 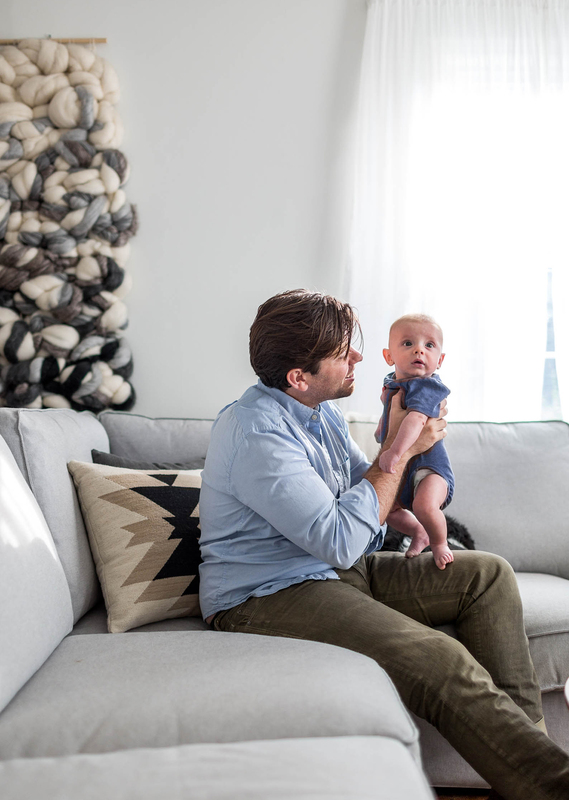 Which I would like to take another moment, via this blog post, to fist bump all of the dads reading this right now. Much respect boys, we did this. Ok, now that we have fist bumped and head nodded from a distance, I want to tell you a couple things you have heard and some things you may not have heard about what the birth will look and feel like. No matter the manner in which your kid comes into the world it is going to absolutely rock you. Mentally and physically. I remember having dreams about how the delivery would go in my head in the weeks leading up to the birth. I had images from all the movies of women going into labor on an airplane or their water breaking on a city bus, etc. We all have an idea of what childbirth “looks like”, and most of the delivery will be a step-by-step process like you are imagining. 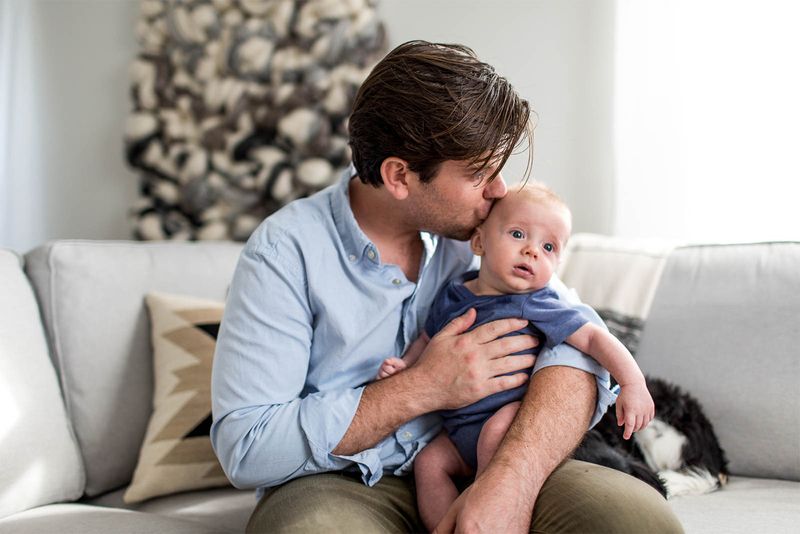 However, the thing I never thought about and honestly had never heard any other guys talk about was the emotional stress a dad goes through in the birthing process. It wasn’t until we actually got to the hospital, and the nurse started taking Megan’s blood pressure and other vital signs, that I realized the two lives I loved the most in this world were on the edge of life and death. I wasn’t naive going into the hospital, I knew the historical numbers of mother and infants deaths in childbirth, but it wasn’t until I heard my wife and son’s heartbeat on two monitors at the same time that it truly hit me. I could lose and/or gain two lives in the next couple of hours and all I can do is be a solid source of strength for both of them. Luckily, we didn’t have any complications and everything progressed great and Hayes was born as planned. But you don’t know that walking into the hospital and that is an emotion that I didn’t expect to hit me. It was powerful. The other thing I will say about the birthing process is that I didn’t truly and deeply understand before going into our time or birth, was how strong all moms are. Now hear me correctly, I don’t mean that in any sexist way. I literally mean, I have more physical strength than Megan, I can destroy her on benchpress, but I do not have the strength I saw her use in childbirth. It is not gym strength, it is deep down at the depths of your existence strength and it was beautiful. It completely changed the way I saw the strength of women, moms and grandmothers. Again, I am not saying I ever thought women were weak, do you know my wife? I mean my literal definition of what I thought the threshold for strength was shattered. It was humbling. I remember seeing frail or out of shape moms at the gym and just thinking wow those are the strongest people in this room. I cannot believe all of the moms in this world can do what I just saw my wife do. The other thing I will say about childbirth is that it is messier than you think, but you will be ok with it. Pre-birth me didn’t want to know what was going on below the belly out of fear it would haunt my mind for years to come. However, at the birthing time I was right in the middle of everything and in that moment (or maybe afterward) you realize you are just as active in the birth as your wife and child. Which totally changes the way you think about birth and what the pre-birth you says you do and don’t want to see. The last thing I will say, and I am even saying it to myself right now, is that everyday things get a little bit easier. Without a doubt, the sleep deprivation in the first three weeks was the most difficult part. It felt like we would never sleep for longer than 2 hours again. But looking back it was only three weeks, but in the moment, it feels like it would last forever. This is important to remember in those moments where you feel absolutely defeated by sleep, your unfinished to-do list, or the social plans you had to cancel. You are a very needed thing in your wife and child’s life right now, but in just a couple months everything will look a little different. You’ll be able to sleep through the night, hopefully. Soon enough you’ll be able to leave the grandparents in charge for a weekend and get away to recharge. But as Megan closed out her letter, I will do the same. You got this. One day at a time you will get there. One day at a time. What a beautiful letter, Mike! Hope you have a very Happy Father’s Day! Brilliant! I’m going to keep this for my son. He just recently married and I hope this is something he’ll want to read in the not-to-distant future. Happy father’s day Mike! Thank you boTh fOr writing The new mom and Dad letters. One day I wIll have the opportunity tO share them with my son and Daughter-in-lAw and I know they will appreciate your words of love, suppoRt and encouragement. You nailed it, Mike! Nailed it!